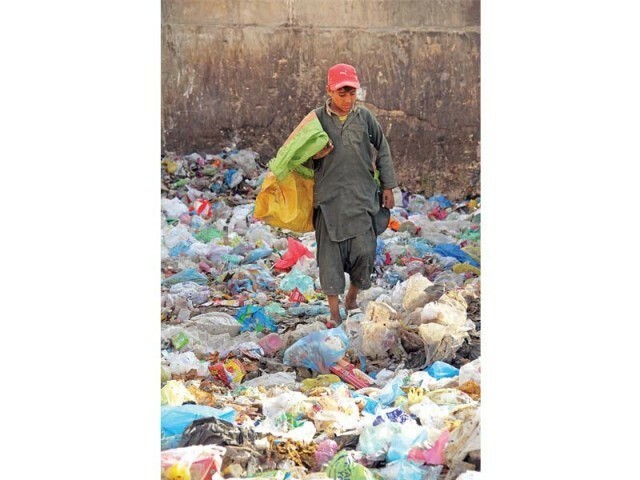 KARACHI: After the Sindh chief minister, the Pak Sarzameen Party (PSP) has also criticised Mayor Wasim Akhtar, who belongs to Muttahida Qaumi Movement (MQM) – Pakistan, for failing to follow through with his garbage collection and cleanliness campaign in the city. “Neither the trash littering the streets was disposed of nor were the manholes covered during the 100-day drive,” said PSP Karachi President Asif Hasnain, addressing a press conference at Karachi Press Club on Sunday. Hasnain said the biggest city and financial hub of the country fell prey to the political interests of the MQM and ruling Pakistan Peoples Party (PPP) and eventually the people were losers again. He asked Akhtar to tell the public what betterment he made in the departments that fell within the ambit of his office. “People were promised that work would be done with the help of private enterprises even if the powers issue remained in limbo,” he claimed. The PSP leader said the MQM was also part of the process in which the city’s administrative powers were transferred to the provincial government from the local bodies. The mayor had announced this 100-day plan to clean the city and uplift its look in December. However, the campaign failed miserably as garbage heaps and brimming gutters continued to be spotted in different areas. Hasnain said that PSP did not take to the streets as per its plan on the expiry of the 30-day deadline that his party chief, Mustafa Kamal, announced during his last large public gathering on MA Jinnah Road. “Keeping in view the law and order situation in the country, we opted not to hold protest demonstrations. But we demand implementation of the eight-point agenda that we put forward,” he said. The future course of action will be announced at the party convention to be held on March 23, he said. A similar stance was echoed by the PPP, as Senator Saeed Ghani addressed the media at a press conference at Bilawal House on Sunday. According to Ghani, the mayor only knows how to shout. He suggested Akhtar should perform his duty without being politicised. He claimed that Akhtar has lied and tried to mislead people by saying that garbage collection is not the responsibility of the Karachi Metropolitan Corporation (KMC) but rather the district municipal corporations. Ghani added that the MQM only knows how to malign other political parties and maintained that the mayor had made fun of him during the cleanliness drive. He said that the MQM, after gaining the mandate, was involved in land-grabbing and China-cutting, rather than serving the people of Karachi and has been blaming Sindh government for its own failures. “Thousands of ghost employees were appointed by the MQM in the KMC and have been getting salaries from the national exchequer but work for MQM,” claimed the PPP leader. He said the PPP has been working for the development of Karachi since all its projects are geared towards the betterment of the city whereas the mayor has been crying for powers instead of fulfilling his responsibilities.